Newer: » Experience Ballet on Ice on Ambergris Caye! Nestled within the jungle of the Cayo District lies Xunantunich (Stone Woman), one of Belize’s most popular Maya archaeological sites. Not only does it attract hundreds of curious visitors each day, but it also draws archaeologists from around the world who hope to unearth new findings. 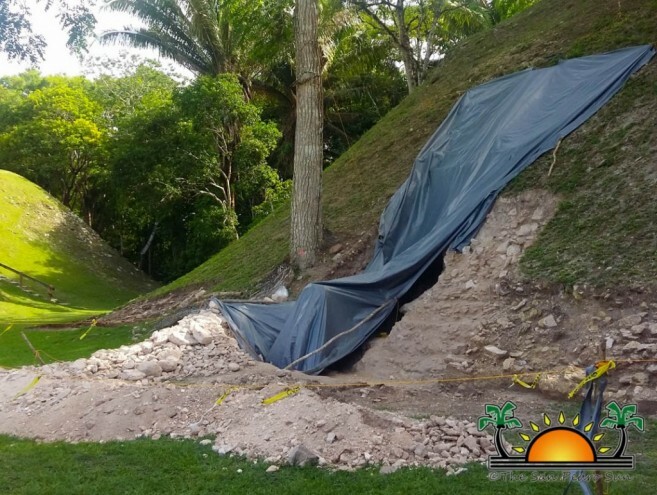 During a recent excavation, the first Maya burial tomb to be discovered at Xunantunich was located some five to eight metres deep, and according to archaeologists, it is one of the largest in Belize. According to the Department of Archaeology (DOA), the discovery sheds new light into the history of the important ceremonial centre, which became one of the most powerful in the region. 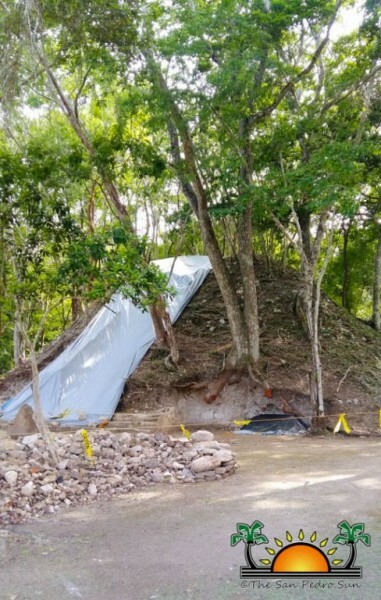 The discovery at Xunantunich located just across the Mopan River in San Jose Succotz and a mere kilometre away from the Guatemalan border, was made by excavators within its department and from Northern Arizona University USA. The exploration just recently began, and the team already have already discovered two important Stelae and a tomb. Director of Archaeology Dr. John Morris told local media that the findings came from two small temples at the south- eastern end of the site. One of the stelae is a panel, while the other is a large carved slate. According to Morris, the hieroglyphics tell a royal story. “There is a date carved in. It is second of December 638 AD and it commemorates the death of a woman and her name is Lady Batzek. She was the wife of the ruler of Caracol at the particular point in time, Lord Kantu,” said Morris. 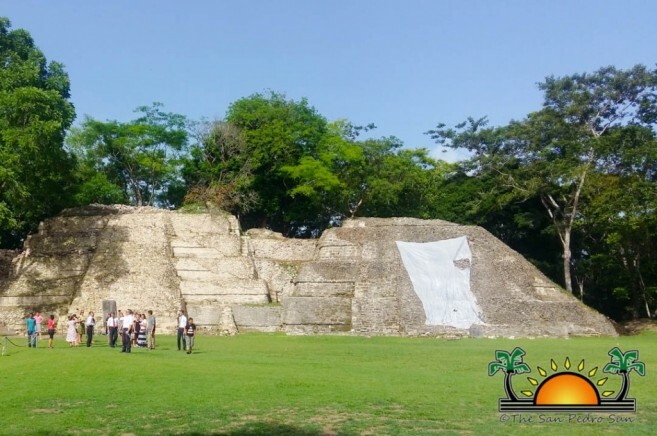 He continued explaining that during that era, Caracol was the militarily stronghold of the area and defeated a lot of the major sites including Tikal and Naranjo. 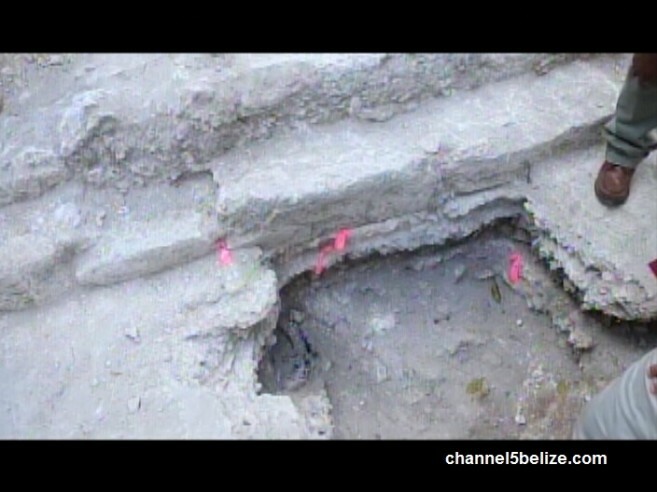 In regards to the tomb discovered, Archaeologist Dr. Jaime Awe explained that skeletal remains of a Maya ruler were found inside the beautifully styled tomb. According to him, the tomb dates back to the Late Classic Period. However, more tests need to be done in order to confirm the time period. But what makes the find even more impressive is the objects found near the skeleton. “It was purposely to enclose the tomb of an individual who very likely was a ruler,” said Awe. “Going from the skeleton of the individual found in the tomb, we know that he is a male person due to the characteristics of the bones. By that, we can also calculate that he was between the ages of 20 to 30 years old.” Awe explained that the person was buried and adorned with pots, vases, jade beads and even with remains of what appears to be a wild animal. “The individual had many objects around him including some obsidian blades. Interestingly, at the north-western side of the chamber we found animal remains, some are the femur and long bones of probably a jaguar or deer,” said Awe. Dr. Awe told the local media that they plan on conserving the tomb, making a replica of the skeletal remains and later installing a Plexiglas so tourists can get to see the tomb from above. 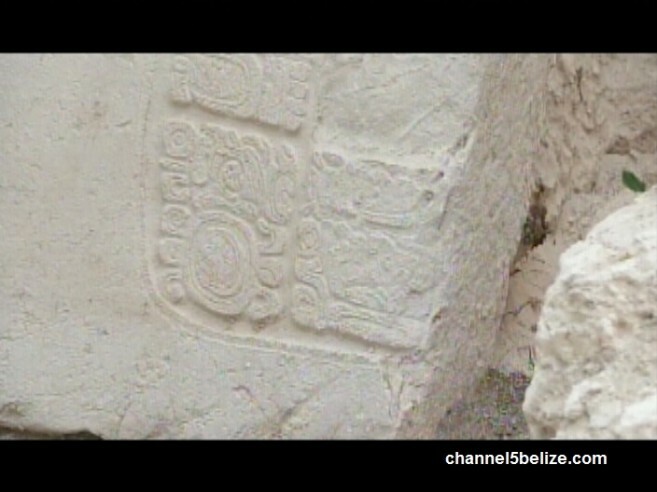 He also stated that what is truly compelling is that the tomb holds the largest array of Maya graffiti ever found in Belize. Although archaeologists are unravelling more about Xunantunich through this scribal room, the sacred burial site and the panel, there is still much to be found and researched. 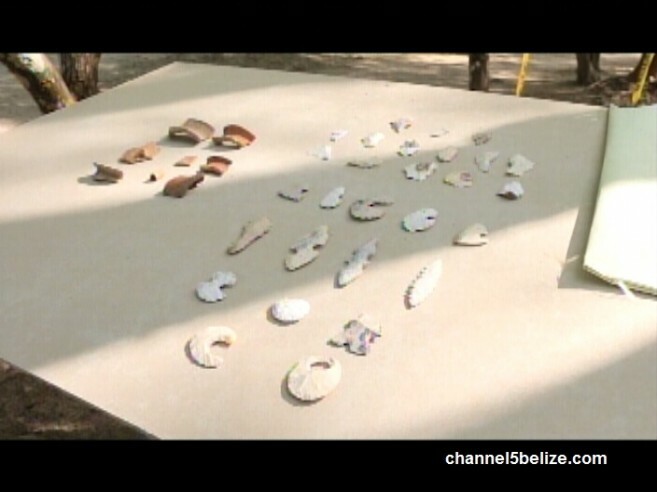 The find is especially significant for Belizean archaeology, not only regarding the stelae found, but also for the shards of pottery, and obsidian objects. The DOA also indicated that excavations are very expensive and they can only do these via assistance from abroad. According to them, it’s a long process and it takes a long time to even uncover a particular area due to the centuries and centuries of debris and soil that has covered the structures. Thus, a lot of assistance and resources are needed. The excitement at Xunantunich has only just begun as excavations continue in hopes of unearthing more of the unknown. This major find is excellent motivation for many historians and archaeologists based at the site. They hope that after this discovery, they might be able to reveal compelling stories of the Maya involving politics, and war, adding depth and dimension to their rich history.